I love the pace of baking. I am not a great baker and though my husband and I prepare most of our meals at home, we have never fully committed to the world of baking. But on occasion, when I sift away a little extra time and decide to dedicate it to baking, it is always a slow and mindful process. 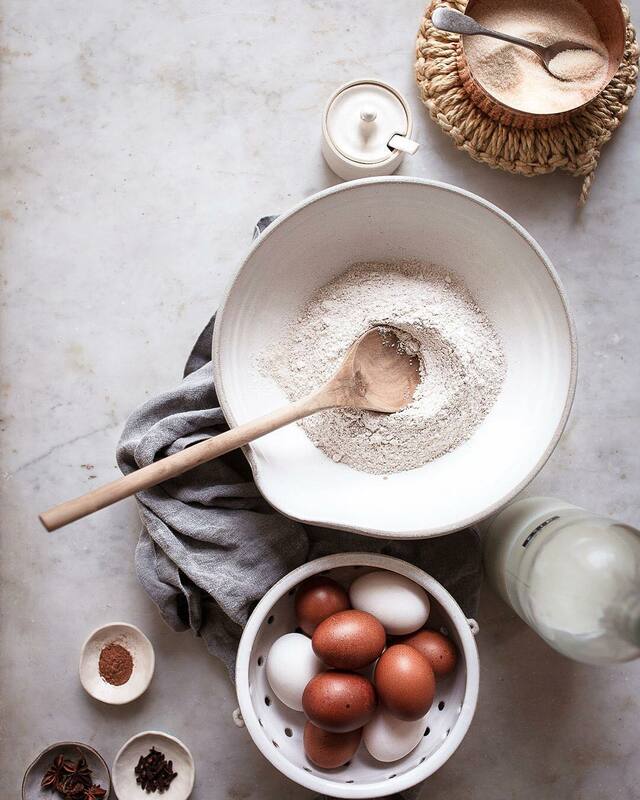 While home-cooked meals are an essential part of our day, I see baking as a luxury. But on occasion, when I sift away a little extra time and decide to dedicate it to baking, it is always a slow and mindful process. And there is nothing more welcoming than the warm smell of freshly baked bread or homemade cake. As winter draws in I wonder if I should consider baking as less of a luxury and more as an essential part of creating a warm winter atmosphere inside our home.